SHERMAN OAKS—According to the Los Angeles Police Department, syringes were found in the sand box of a playground in Sherman Oaks. The syringes were found at Van Nuys/Sherman Oaks Recreation Center located at 14201 Houston Street on Thursday, July 19. 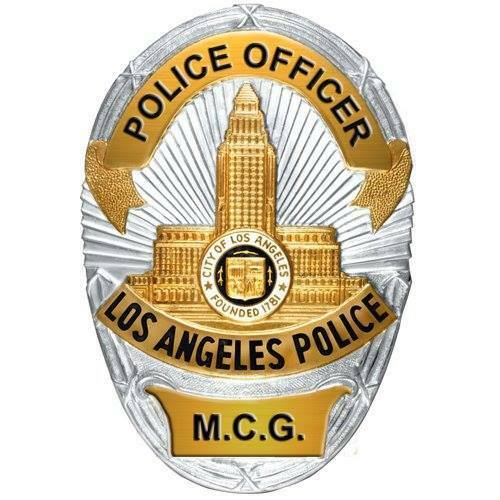 LAPD Captain Liliana Carranza indicated in a tweet that the LAPD Van Nuys Division has opened an investigation into the situation and is providing extra patrol in the area. 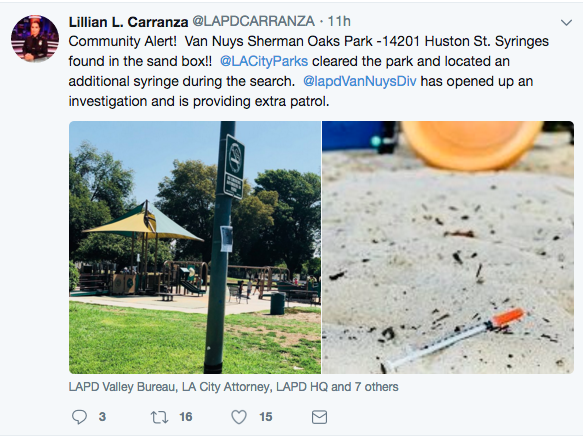 The Los Angeles Department of Recreation and Parks found another syringe while cleaning the park, Captain Liliana Carranza noted. It’s unclear how long the syringes were in the park or if any children or adults were affected. LAPD Captain Liliana Carranza tweeted out a community advisory on July 19. Kara Finnstorm, a reporter for KCBS, tweeted a video of the Sherman Oaks sandbox Friday morning. The video displays crew members of the recreational team combing through the closed-off sand box in search for any additional syringes. Finnstorm reported that no children were hurt by the needles.